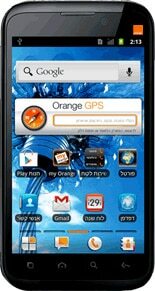 The Orange Infinity 996 is an Android NFC smartphone that is available from Orange in Israel. The Infinity has a 4.3-inch 480 by 800 pixel touchscreen, a 5MP rear camera with HD video and HDMI output, and runs Android 2.3 Gingerbread. The phone is powered by a 1.4GHz Qualcomm processor. The device is believed to be an Orange-branded version of the Alcatel One Touch 996. Will an Alcatel OT 996 case fit this device?